Sister Maida Block is the Sister who loves to quilt. She has never met a fat-quarter she didn't like, and has a huge stash of fabrics hiding where the other sisters can't find them....some of the fabrics are even in color! 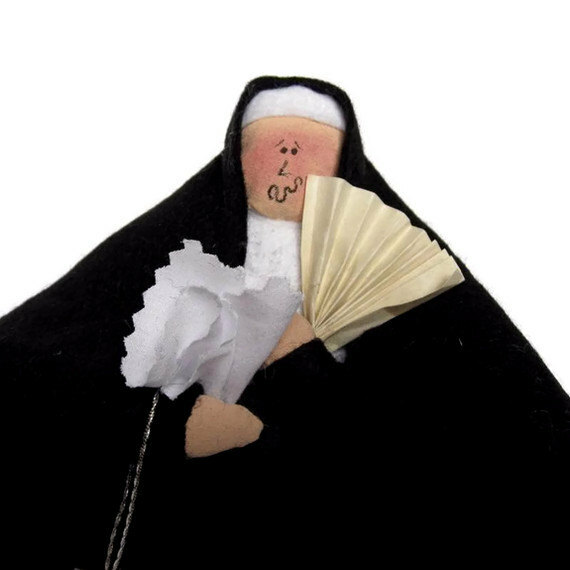 She keeps the convent in stitches with her efforts, and is always looking for new quilting projects! The perfect gift for quilting sisters everywhere! 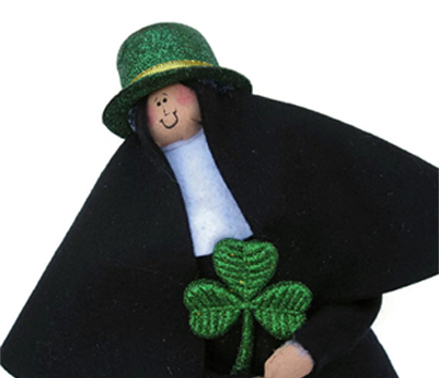 love to grace the home of any other Irish, or Irish "at heart" "sister". waiting for her big “break”! 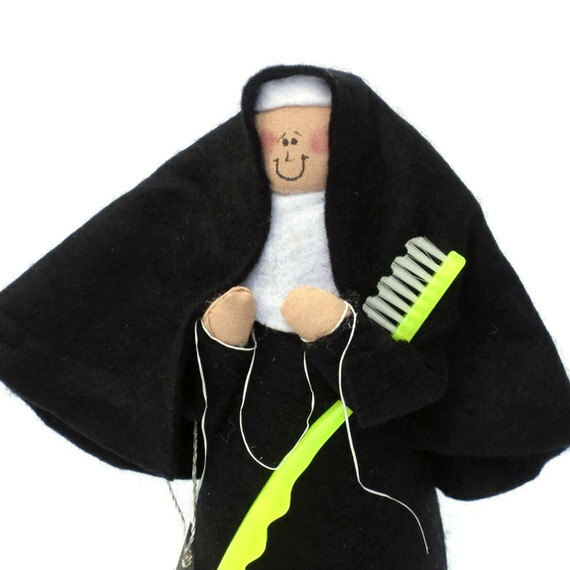 Sister Flossie has the important job of keeping your teeth in a "state of grace". She has her floss ready to go, and her toothbrush in hand to help complete the job. She would be a great gift for someone who works in a dental office or for someone who is a "flossing" addict! The “Nun of a Kind” collection! ….celebrating “sisters” everywhere! 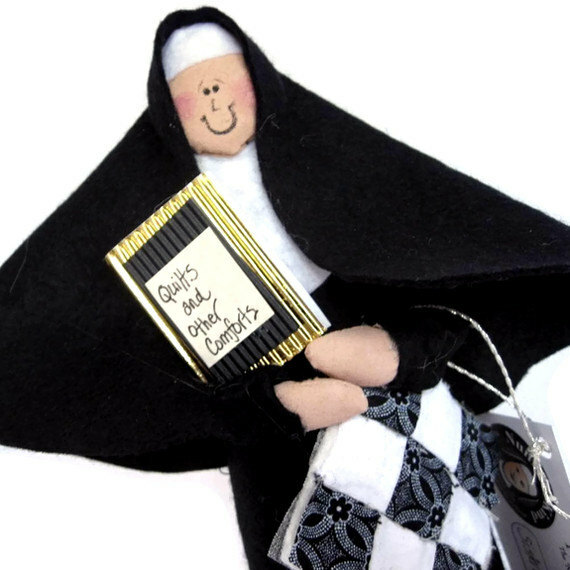 Totally “nun-denominational”, and based on the concept that we are all “sisters” sharing many “habits”. To honor your friend/co-worker/family member, simply find the “sister” that best suits the recipient! Many from which to choose, based on occupations, hobbies, interests, sports, etc. Be sure to read each name that has been carefully chosen for each “sister”…word-play is a big part of this collection! Many of the “sisters” in this collection were born because a customer requested a special one for a friend, be it their hairstylist, their yoga teacher, someone who enjoys certain games or sports, etc. Special orders are a pleasure. 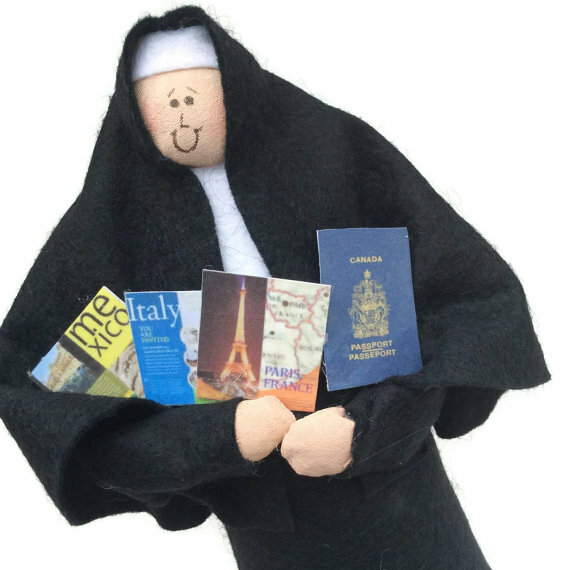 Simply contact “Nun of a Kind” with your request, and your special order can be arranged. Come and meet the “Sisters” in person at these venues! 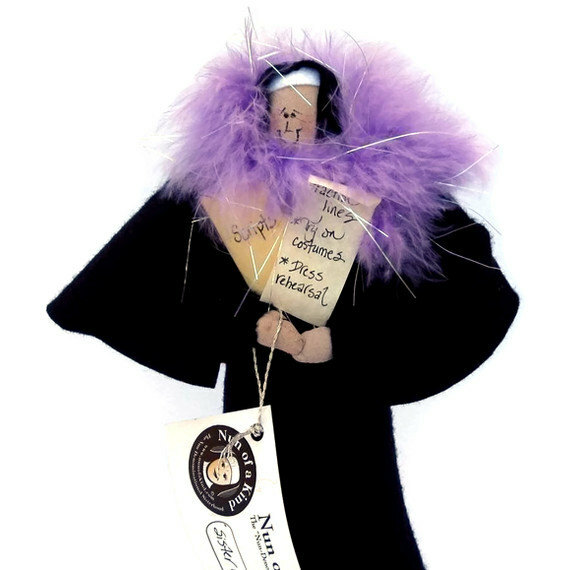 A selection of the "Nun of a Kind" collection is also available at the Lawrence House Centre for the Arts, 127 Christina Street South, Sarnia, Ontario.